What separates “okay” virtual learning from great virtual learning? The program design! Good design is what drives an interactive, facilitated, virtual learning experience that dazzles participants. If you want to create collaborative virtual training that participants clamor to attend, then join us to explore the design techniques used by the best virtual facilitators. You will learn to capitalize on the visual strengths of web conferencing, rethink interactive participation, increase collaboration, and captivate with a good story. Learn how to leverage interaction tools like open chat, polling, annotation, short video, streaming video, emoticons and breakout rooms to create a facilitated virtual classroom environment. Understand why you must design for a specific web platform in order to make virtual learning shine. The facilitator and a host/producer will model design and delivery skills in a live demonstration webinar. Entrepreneur, business leader, strategic thinker, speaker, writer, Cynthia Clay is a passionate advocate for leaders and facilitators achieving their potential in the virtual workplace. 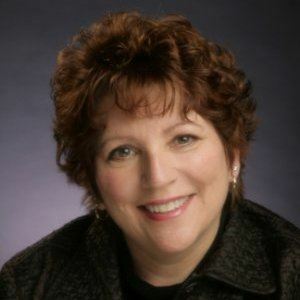 She began her consulting practice in 1992 after a career in human resources in the banking and healthcare industries. From those early days as an organization and management development consultant to the present, she remains passionate about developing strategies and practices that leverage technology and support engagement in the virtual classroom and the virtual workplace. In her role as the CEO/Founder of NetSpeed Learning Solutions, she strives to make learning experiences practical and hands-on. She doesn't linger in the theoretical, but moves to the behavioral. In the end, it’s not what you know—it’s what you do with that knowledge that makes a difference.